In "The Cop," Ben (Ryan Phillippe) is enlisted by Fenton to assist him in taking down Cornell (Juliette Lewis). Fenton's first order of business: getting Ben to meet with Jennifer Barrett, Cornell's latest victim. When Ben meets with Jennifer, he discovers she's only a teen - and that she's Cornell's daughter. She tells Ben to "confess now and get it over with." Did Ben just make a huge mistake in delving into Cornell's personal life? Just as suspected, Cornell is furious that Ben went to visit her daughter in prison, so she summons him to the station. There, Cornell has him meet her in a room filled with the crime scene evidence of Tom's murder and attempts to scare him into a confession. 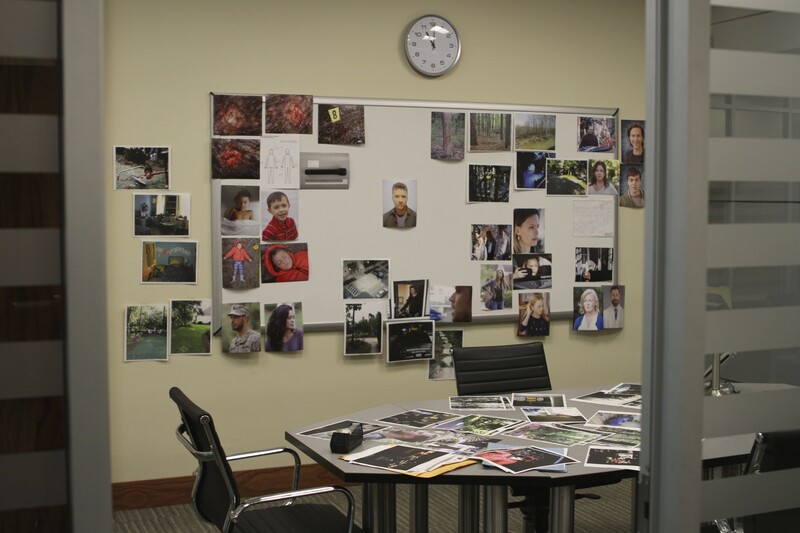 Ben doesn't cave even though he's the only person of interest on Cornell's murder board. Could Cornell actually be onto something? After all, Ben doesn't remember what happened that night - and we later find that he went to Jess' (Natalie Martinez) house the night of the murder. Could she have been right all along?